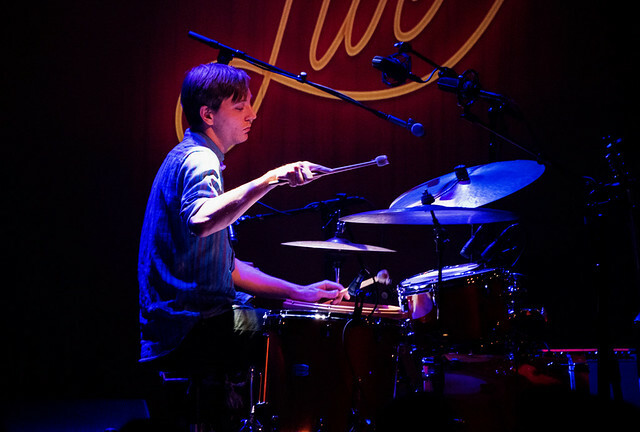 Along with Shawn Myers on drums and Pete Olynciw on bass, Leyla’s 90-minute set took me on an international and cross-cultural musical journey on on Friday. Leyla is the daughter of Haitian born parents who were living in New York (her father, Jocelyn McCalla, was Executive Director of the National Coalition for Haitian Rights; her mother founded Dwa Fanm, an anti-domestic violence human rights organization), and today she lives in New Orleans. 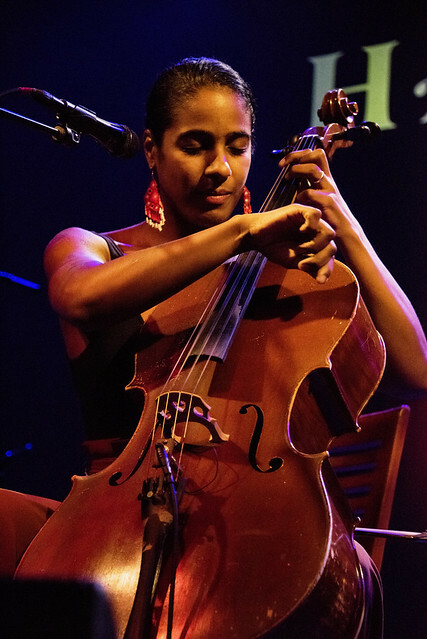 Singing in French, Haitian Creole, and English, she is a classically trained multi-instrumentalist who plays cello, tenor banjo, and guitar. 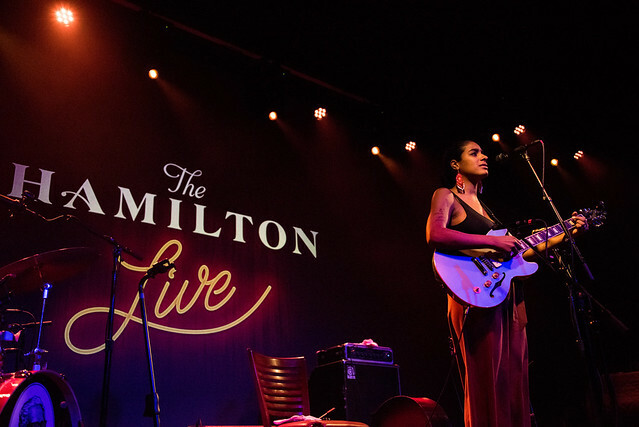 Her current tour in support of her upcoming album, Capitalist Blues (arriving Jan. 25 on Jazz Village/PIAS) brought her to DC on Jan. 11, when Leyla treated a capacity crowd to her musical jambalaya. As her music enveloped the audience, and I became more and more entranced with Leyla’s voice, I was reminded of my own childhood listening to Calypso, Harry Belafonte’s ground-breaking (and best-selling) 1956 album of Caribbean melodies. But where songs like “Day-O” and”Jamaica Farewell” evoked sun-splashed beaches, rum drinks, and tourist friendly Caribbean islands, Leyla’s music painted a far different picture. 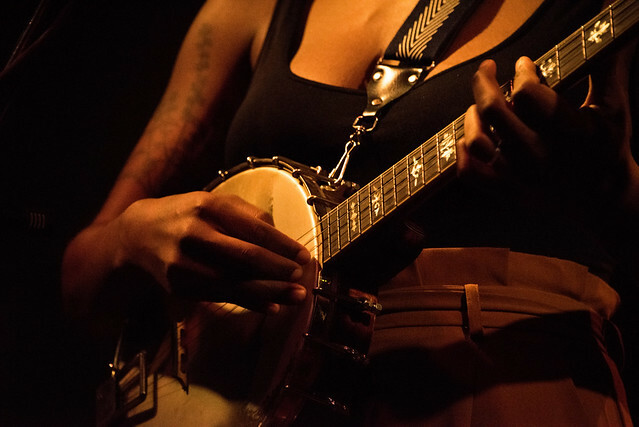 She sang with a voice that is both strong and pure — the melodies reminiscent of Delta blues, African soukous, and American gospel with a soulfulness that reflects the reality of Caribbean and specifically Haitian culture, traditions, and hardships. Indeed, throughout the show, Leyla introduced many of the songs with sometimes lengthy explanations of how they came to be, their meaning, and her own intention as an artist bringing her music to a wider audience. She explained how many of her songs follow the Haitian “Troubador” (Twoubadou) tradition — a self-accompanied singer-composer who sings of the bitterness and humor of love-simultaneously lovely and heartbreaking. Toward the end of the show, Leyla performed “Mesi Bondye,” a song whose title means “thank you, Lord.” The song’s lyrics go on to say, “let us dance… let us dance… Father God in heaven, end poverty, Father God in heaven, end poverty for us… so let’s dance.” As one who’s lived and worked overseas among economically marginalized populations, I’ve witnessed that dichotomy of people persevering through difficult living conditions coupled with the faith that a higher power will (eventually) alleviate their suffering — a sentiment I find both beautiful and heartbreaking. 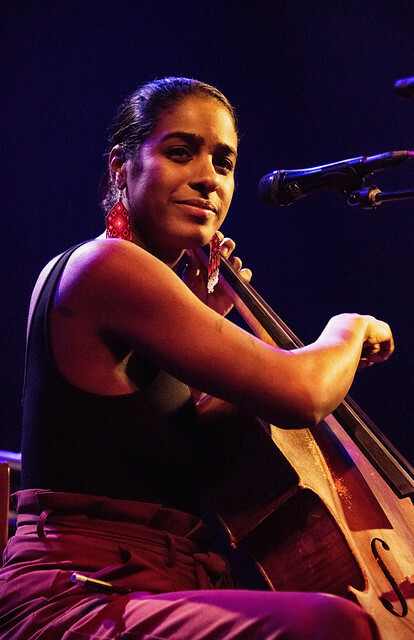 After several years (2011-2013) with the Grammy Award-winning Carolina Chocolate Drops, Leyla left to focus on her solo career. 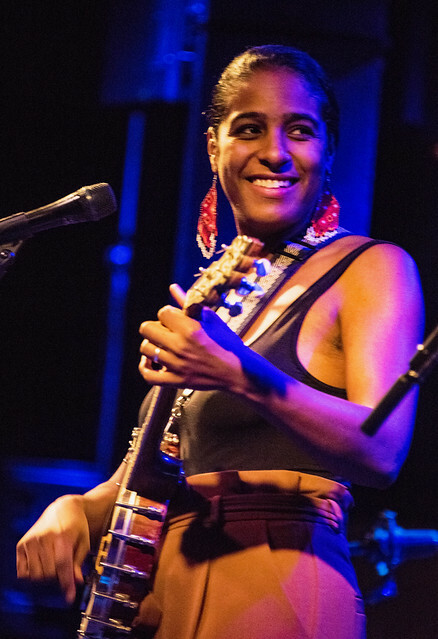 Her 2013 debut album, Vari-Colored Songs: A Tribute to Langston Hughes, was named by the London Sunday Times and Songlines magazine as Album of the Year. Her second album, A Day for the Hunter, A Day for the Prey, was released in 2014, also to critical acclaim. In the title track’s official video, one can appreciate her unique percussive playing style and expressive singing. 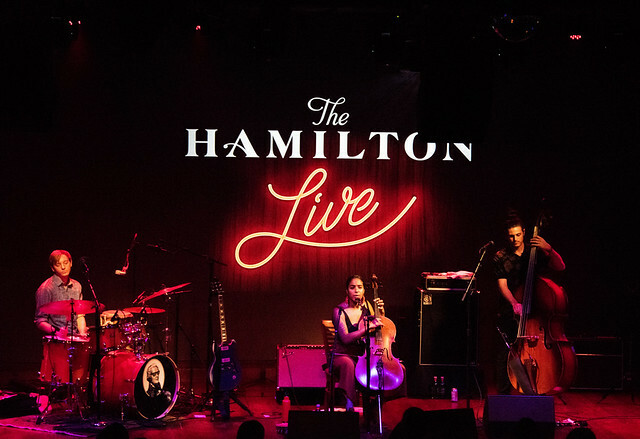 The audience got a preview of the new album when Leyla performed that particualar title track, saying, “I’m excited to be playing The Capitalist Blues in the capital.” Pointing out that the new album is a collection of protest songs would be laughably obvious. 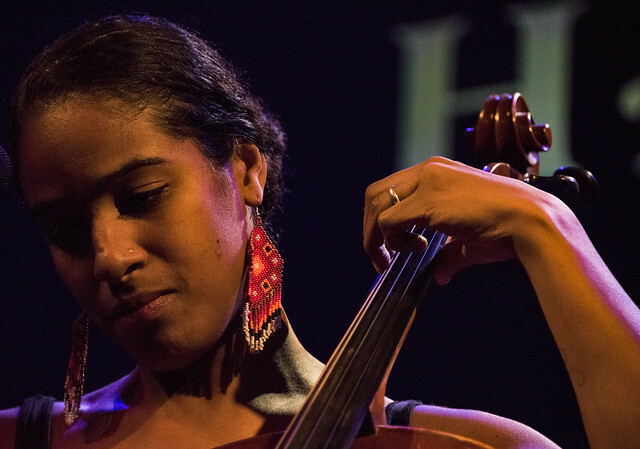 Beyond that, it is an effort aimed at effecting change through the power of music, anger, memory, and identity — a Haitian-American daughter of immigrants’ statement on who we are as a society, nation, and culture, and where we might go from here. 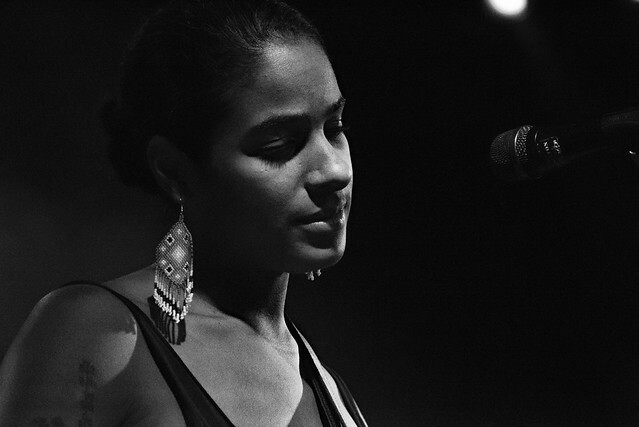 Although Leyla waited several years to release new music, the previously mentioned Capitalist Blues out this month, and a collaboration with Rhiannon Giddens, Amythyst Kiah, and Allison Russell, Songs of Our Native Daughters, will publish via Smithsonian Folkways on Feb. 22. 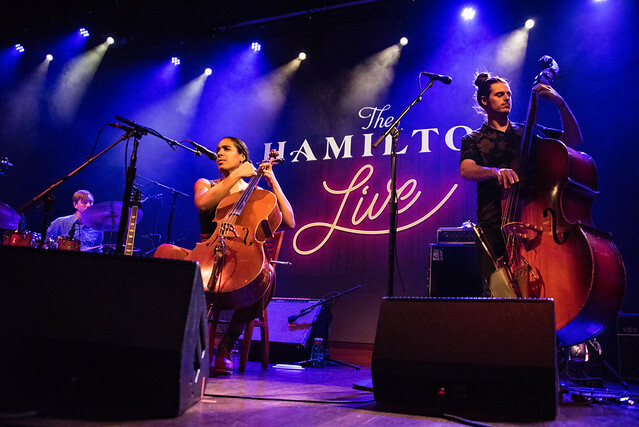 Both albums continue Leyla’s exploration of themes surrounding social justice, self, and connections to the hidden stories of the past and their relevance today. 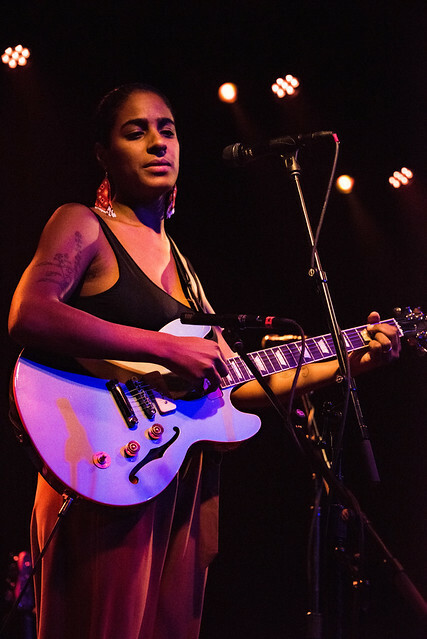 Leyla McCalla will be on tour through April. For music, video, and more information, visit Leyla’s website. 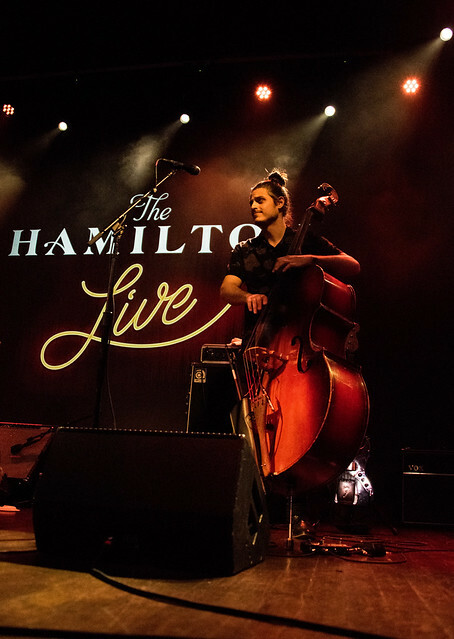 Here are some pictures of Leyla McCalla performing at The Hamilton Live on Jan. 11, 2019. All photos copyright and courtesy of Mark Caicedo.